The goal: Triple annual U.S. sales of VW, Audi and Bentley by 2018. CHICAGO -- Volkswagen of America is saying auf Wiedersehen to ad agency Crispin Porter & Bogusky after a four-year run despite a rise in U.S. market share and a comparatively soft sales decline compared with competitors. 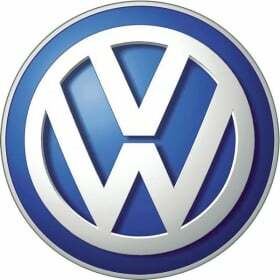 "Our goal of rapidly increasing our volume in a mature market requires the Volkswagen brand to evolve into a more relevant mainstream choice," Tim Ellis, vice president of marketing, said in a statement Monday. The company, which has boosted its U.S. share to 2 percent through July from 1.6 percent a year earlier, said that it is seeking a new U.S. agency of record for its $200 million-plus account. Through the first half of the year, the German parent company was just 464,000 sales behind Toyota, cutting the lead by more than 1 million sales in 12 months. In addition to winning a long-running takeover battle for Porsche Automobi Holding SE, VW has added former Fiat S.p.A. marketing boss Luca De Meo as global marketing chief.